Pain in your belly button should not be ignored. It is the body’s way of letting you know that there is something wrong. In most cases, the belly button pain is intermittent and dull. You may feel the pain around belly button when pressed. For sharp and recurring pain, it is essential to contact your doctor immediately to prevent the condition from getting worse. Especially if the pain aggravates after daily activities, such as stretching, running, swimming or even sneezing. There are different causes of pain in your belly button area. Depending on the underlying cause, you may feel the pain only near the belly button. Or you may feel the pain which can radiate to the other areas of the body. This article will discuss the most common causes and provide some natural remedies to remove the belly button pain. Belly button, also known as navel or umbilicus. When the fetus is in the womb, the mother provides nutrition to the fetus through the embryo and umbilical cord. After the fetus birth, the umbilical cord will be cut off. This will leave a scar, which is the belly button. The pain in this area is usually elusive, you should observe the symptoms carefully to identify the causes. The most common factors are indigestion, Crohn’s disease,ulcers, pancreatitis, gallbladder infections or appendicitis. The pain in this area is usually caused by the inflammation or infection of the organs in the abdomen. It may come from the pancreas, stomach, spleen, gallbladder,liver or intestine. The most common causes of the pain around the belly button is appendicitis, stomach flu or urinary tract infections. There are different types of pain around the navel area. Some can be irregular, constant, dull or severe. While there are minor causes of belly button pain, others can be serious and life-threatening. To determine the underlying cause of the problem, it is best to see your doctor as soon as possible to prevent further complications. Also called upset stomach or dyspepsia, indigestion is described as a feeling of fullness or abdominal pain after eating.You may feel burning, pain, or discomfort in the upper abdomen which will radiate to your belly button area. Mild indigestion is nothing to worry about, but see your doctor if the problem continues for more than two weeks. If you experience two or more of the symptoms mentioned, this may be chronic constipation. If you experience severe abdominal pain, vomiting, persistent constipation or an inability to pass gas, you should see your doctor immediately. Because this may be a sign of bowel obstruction which is a serious issue. Piercing is one of the most common causes of belly button pain. The pain will not go away until your wound heals. If the pain remains after your wound has already healed completely. This may be caused by the injury when you put on your clothes. Or it may be caused by an infection in your navel. The infection should be treated as soon as possible, otherwise, it may lead to serious inflammation of your internal organs. You need to visit a doctor to get rid of the infection. The pain around the incision is normal if the surgery was recent. However, pain after weeks since the surgery can be a sign of infection. This can be serious if not checked by your doctor immediately. If you are experiencing constant and severe pain after surgery, see your doctor as soon as possible. The most common way to get stomach flu or gastroenteritis is by ingesting contaminated food or drink or through direct contact with an infected person. When you suffer from gastroenteritis, mild to severe diarrhea accompanied by vomiting, nausea, and pain in the abdomen will follow. 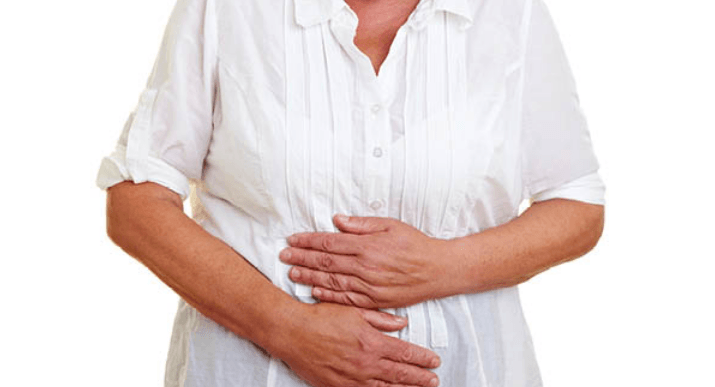 Gastroenteritis is usually not serious, you may only feel some discomfort and inconvenience. People who are healthy can recover without problems. Call your doctor if you have been vomiting for more than two days, you have a high fever, you have signs of dehydration, and you notice blood in your stools. Pregnancy is another possible cause of belly button pain as it causes radical changes in the body. Due to the changes in hormone levels, most women also experience morning sickness and mood swings. As the belly starts to grow, it may cause belly button pain. In most cases, this mild pain is normal as the body is just adjusting to pregnancy. Sometimes abdominal pain during pregnancy can be serious. You may feel intermittent sharp pain around your belly button and waist. The feeling of pain will increases when you stretch, laughing, coughing or move around. This type of pain usually lasts for a short time, usually only a few minutes.However,if the pain is severe and constant, you should call your doctor immediately. If you experience extreme belly button pain, fever higher than 38.3 C (101F), foul vaginal discharge, nausea, and vomiting, see your doctor immediately. A urinary tract infection can be the cause of belly button pain. This condition can occur anywhere in the urinary tract – kidneys, urethra, bladder, and ureters. See your doctor if you develop any of the symptoms of UTI. Abdominal hernia occurs when tissue or an organ, such as part of your intestine, protrudes through a weakening spot in the abdominal muscle walls. The bulge can result in pain, especially when you bend over, cough or lift. The pain caused by a hernia can affect the quality of life. It is important to see your doctor immediately to repair the tissue. If you experience any symptoms that worry you, call your doctor immediately, especially if you have a high fever with chills, yellow sclera (white of the eye), and intense abdominal pain. Kidney stones are hard deposits that form inside the kidneys. This condition occurs when the urine becomes concentrated, allowing salts and minerals to crystallize and form together. See your doctor if you experience severe pain, blood in your urine, fever, nausea, vomiting, and difficulty passing urine. Also known as gastric ulcers, stomach ulcers are painful sores in the lining of the stomach. This condition occurs when the mucus that protects the stomach from digestive acids is decreased. If you develop any symptoms mentioned, talk to your doctor immediately for proper diagnosis and treatment. Appendicitis is the inflammation of the appendix and causes pain in the lower right abdomen. In some people, the pain starts around the belly button area and moves to the lower-right side of the abdomen. You may feel a sharp pain if the pain moves to the lower part of your abdomen. Appendicitis pain is so severe that you may wake up when you are sleeping. Some people may also feel the pain in a different area of your abdomen. The pain or discomfort worsens if you walk, cough, sneeze or perform other physical activities. This condition may also cause diarrhea or constipation, chills, abdominal bloating, loss of appetite, and low-grade fever. If you suspect that you have appendicitis, make an appointment with your doctor right away as immediate medical attention is required. Another possible cause of belly button pain is pancreatitis, which is the inflammation of the pancreas. The pancreas aids digestion and the regulation of blood sugar. Pancreatitis occurs when the digestive enzymes are activated while still in the pancreas, damaging the cells of this organ and result in inflammation. The symptoms of chronic pancreatitis may include weight loss and smelly, oily stools. Seek immediate medical help if you have persistent abdominal pain. If you have any of the symptoms of Chron’s disease, see your doctor for a clear diagnosis and treatment. Crohn’s disease is one of the ailments in the small intestine. Other common disorders in the small intestine include internal bleeding, celiac disease, irritable bowel syndrome and intestinal cancer. All these conditions can cause pain around the belly button. Cleaning your navel with mild soap thoroughly may be the most essential measure no matter which remedy you choose. The mild soap has an antibacterial that can help prevent bacteria growth. Repeating this procedure several times a day can effectively get rid of the skin infection. Make sure to dry your belly button after cleansing. You can also apply an antimicrobial ointment to get positive results. Try to choose a water-based cream to avoid clogging pores. To use this remedy, you just need to dip a washcloth in warm water and wring it. Apply the washcloth on the belly button for 10 to 15 minutes. If the temperature of the cloth is low, you can heat it with warm water repeatedly. In addition, A warm shower can also help relieve the discomforts. Turmeric has antibiotic, antiseptic and anti-inflammatory properties that have been used to treat many infections. It can help reduce the inflammation, itching, and pain around the belly button. You can mix turmeric powder and clean water to get a turmeric paste. Apply the paste on your navel. Leave it on for about 10-20 minutes to let the substance dries and wash off. Repeat this process 2-3 times a day. You can also mix hot milk, raw honey, and turmeric powder to have a drink. This can help boost your immune system. This is a simple, cheap but significant remedy for a belly button infection. Warm salt water can help reduce the pain and itching and inflammation. You just need to add a teaspoon of salt into the warm water and apply it to your infected area with a cotton ball. The heat can help improve the blood flow, while the salt can dry your skin and inhibits the infection. Repeat this process 1-2 times a day until the infection is cured. You can also apply an antimicrobial cream to increase the effect. White vinegar is another effective remedy for belly button inflammation. It contains 4-7% of acetic acid that can help kills the fungus and get rid of the pus from the infection. To use this remedy, you can mix white vinegar with water in the proportions 1:2. Then soak a cotton ball in the mixture and apply it on your affected area. Leave it on for 10-15 minutes and rinse with warm water. Make sure to dry the skin thoroughly and apply an antimicrobial cream.You can do this 2-3 times a day. Aloe vera is one of the most common remedies for skin problems including the belly button infection. The Aloe Vera gel has anti-inflammatory properties that can help reduce itching, inflammation, and pain. You only need to cut a piece of aloe vera leaves to get the fresh gel. Apply the gel over your belly button and wait for about 10- 15 minutes to let it dry. The soothing effect of aloe vera can help you get rid of navel pain effectively. Then rinse with cold water and dry the skin. You can do this 2-3 times a day for quick results. Organic tea tree oil is one of the best natural remedies for a lot of skin problems. This essential oil comes from a native Australian tree. It has antifungal, antibacterial and antiseptic properties that can help fight against bacteria, fungi, and yeast. This can help reduce the itching, redness, and pain of the affected area. To use this remedy, you need to mix 3-4 drops of tea tree oil with 1 teaspoon of coconut oil or olive oil. Make sure to dilute it before using as tea tree oil is so strong that it may damage your skin. Then apply the oil to your skin with a cotton ball and leave it on for 10- 20 minutes. Wipe off with a cotton ball or clean cloth. Repeat this process at least twice a day for quick recovery. Rubbing alcohol is a fast way to clean your belly button. It has antiseptic properties that can help get rid of the irritation, itching, pain and prevent fungal infection. To use Rubbing alcohol, you just need to soak a cotton ball in the alcohol and apply it on the affected area. Alcohol does not harm the skin, you don’t even need to wash it off. Repeat this process 2-3 times a day to get positive results. If any of these symptoms apply to you, see your doctor right away. i have hernia, thanks for letting me know x !